In a recent survey, nearly nine in 10 faculty members (87 percent) at colleges and universities across the country said they are using either fully online or a mix of online and face-to-face instruction in their courses. That leaves just 13 percent who are still teaching exclusively face-to-face. These findings come out of Campus Technology's 2018 Teaching with Technology Survey, which asked higher education faculty about their work with online and blended courses and their plans for exploring those modes in the future. The blended model was the most common among our respondents, at 76 percent, up from 73 percent in 2017. However, that doesn't mean those instructors blend every course. 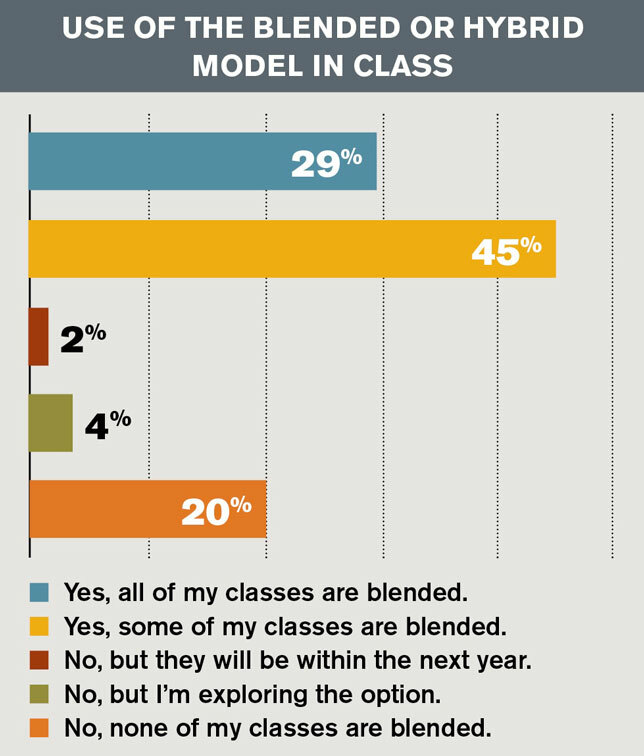 When we asked faculty how many of their classes are blended, 29 percent said they teach all blended classes, while 45 percent blend some of their classes. Six percent said they plan to use the blended model in the next year or are exploring the option. We also asked faculty if they employ the flipped classroom model, in which students review recorded lectures or other course content on their own, saving class time for hands-on, active learning activities. 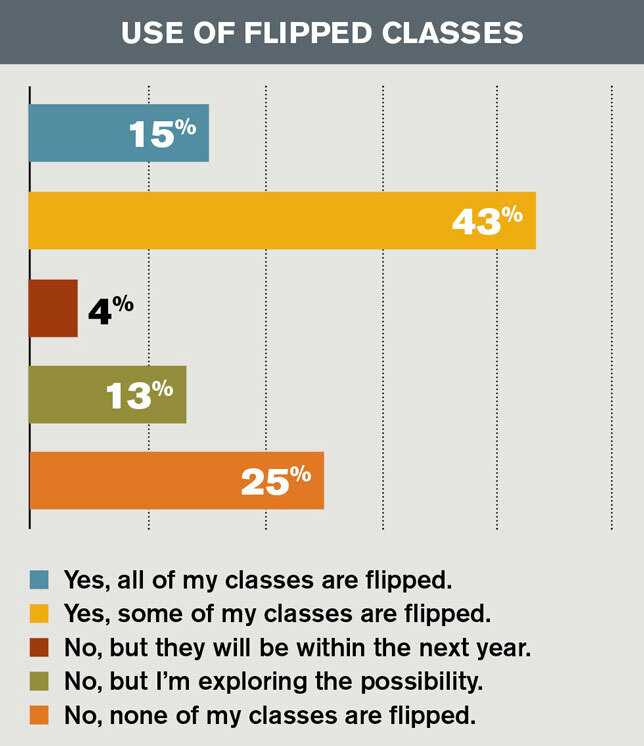 Fifty-eight percent of respondents said all or some of their classes are flipped, while 17 percent plan to flip in the next year or are exploring the model.